A clerk reaches for a container of marijuana buds for a customer at Utopia Gardens, a medical marijuana dispensary, in Detroit, on Oct. 2, 2018. 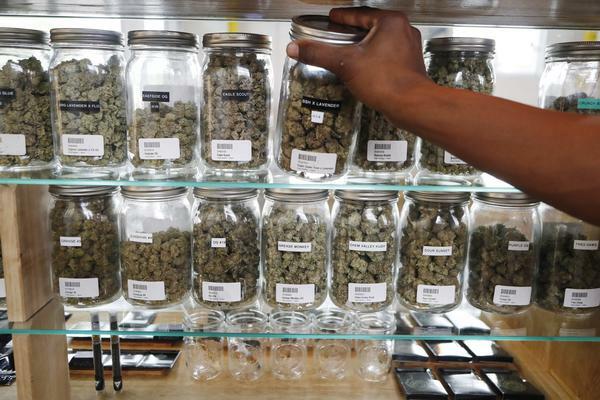 Despite the opening of medical marijuana dispensaries in Ohio, many colleges and universities continue to ban any forms of medical marijuana on campus. College students and faculty might have a doctor’s recommendation for medical pot, but schools receiving federal funding still have to bar marijuana from campuses or risk jeopardizing that money. The Marijuana Policy Project, based in Washington D.C., thinks that's an unhelpful rule. “There’s no reason why marijuana, which is a less harmful substance than most prescription medication, cannot be made available to students and used responsible on campus as long as they’re not violating the law, much like any other prescription drug,” says Marijuana Policy Project spokesperson Mason Tvert. The non-profit aims to change state laws to reduce or eliminate penalties for medical and non-medical uses of marijuana. “You’ve got students who might be suffering from a medical condition and could benefit from medical marijuana, but they don’t actually seek access to it because they worry about being punished by their school," Tvert says. Three federal laws restrict the use of controlled substances: the Drug-Free Schools and Communities Act, Federal Drug-Free Workplace Act, and the Federal Controlled Substances Act. All of the Ohio universities contacted by WOSU say they plan to follow federal guidelines. Those include The Ohio State University, Otterbein University, Ohio Wesleyan University, Ohio Dominican University and the Columbus College of Art & Design. Ohio State referred WOSU to its university’s alcohol and drug policy. “Marijuana remains a Schedule 1 drug at the federal level, is captured under this policy as such, and is not permitted on campus,” says university spokesman Ben Johnson. 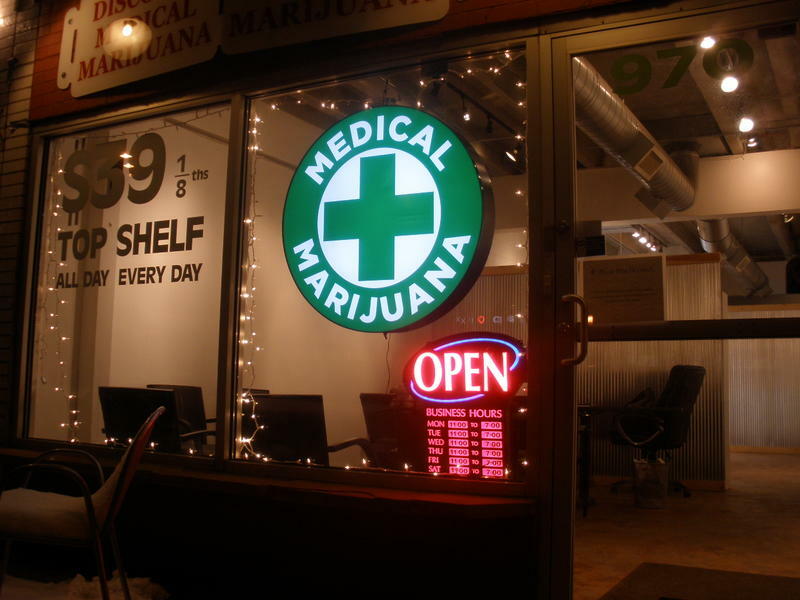 Ohio is among 33 states, as well as Washington, D.C., that have passed legislation legalizing medical marijuana. After months of delays, the first dispensaries in Ohio opened earlier this month, though supplies are still limited. Tvert says critics who question the safety of marijuana don’t know all of the facts. “There’s actually been more research on marijuana than many FDA-approved pharmaceutical products,” Tvert says. Tvert says he sees more setbacks before universities allow marijuana use on campus. “Comprehensive changes in laws are needed to reassure these institutions that they will not face any sort of significant punishment,” Tvert says. 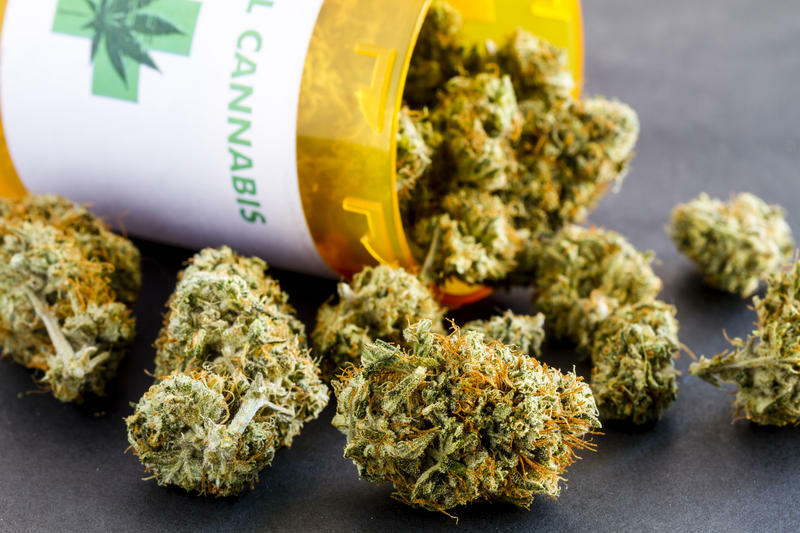 Medical marijuana legislation has been discussed in recent years, but has never gained enough momentum to pass the preliminary stages of the Kentucky legislature. Rep. Jason Nemes, a Republican from Louisville and one of the bill’s sponsors, said that a majority of the 100-member House support the bill. Hundreds of members of Wright State’s faculty union walked off the job Tuesday. The university's chapter of the American Association of University Professors union announced its intent to strike earlier this month after contract talks stalled. 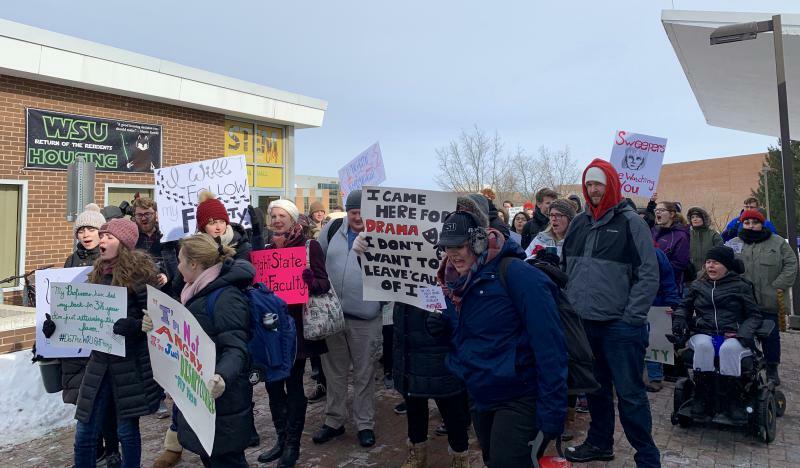 With temperatures hovering in the teens, about 100 students chanted as they marched across Wright State’s campus to join professors on the picket lines. A newly formed pro-union student group called WSU Students for Faculty organized the march.